"As far as everyone's concerned, Alina, this child is ours." Surrogacy is the closest Alina Fletcher dares get to motherhood. 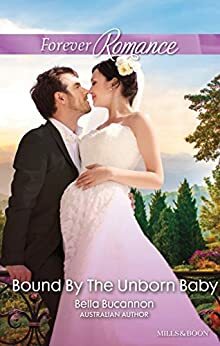 But when she must tell tycoon Ethan James she's carrying his late sister's child, his solution takes her breath away–a temporary marriage of convenience for the baby's sake! Alina knows it's the right decision for her baby, but is marrying a stranger–especially one who makes her heart sing!–the right choice for her? Having loved and lost her own family, this proposal could be another chance at happiness…if only Alina's brave enough to say "I do"! I'm not sure why this book does not have more reviews. It was a heart touching, sweet, and wonderful story. I really enjoyed it. Ethan, and Alina are both grieving throughout the story. Ethan lost his sister, and brother in law. Alina lost her husband, and son. Alina was best friends with Ethan's sister Louise. Louise, and Leon really wanted a baby. After several tries Alina volunteered to be a surrogate, to give them the baby they would love and care for. They were so excited when the pregnancy took. Alina was devastated when she found out her friends had died. She knew if anything ever happened to Louise, and Leon that it would be Ethan that would raise the baby. For Ethan I think it was love at first sight. He treated Alina like she was a piece of fine china. Gentle touches, and sweet kisses. This really was a sweet book. The baby growing inside Alina managed to heal two broken hearts, and bring Alina, and Ethan together. They had ups and downs, and had to go through the process of grief. The author did an excellent job with this story. It's amazing how one tiny baby can bring so much love, and hope, and bring strangers together. This one is going onto my list of favorites. I loved the story. I found it to be refreshing although some of it was unbelievable or just not very practical. Still loved how they fell in love by the end and were able to resolve their individual hang ups. Definitely worth a read if you like marriage of convenience type stories. I truly enjoyed reading this book. It was very heartwarming and sad at the same time. I would highly recommend this book. Alina Fletcher is a surrogate mother and carrying someone else’s kid. She’s also a nomad, roaming from country to country, seeing the sights, taking low-end jobs and picking up languages. She’s an unusual kind of romantic female lead in that she doesn’t seem interested in settling down. But she has her reasons and they’re rather bad ones, featuring deaths in her immediate family, crippling survivor’s guilt and the determination not to let anyone get too close to her again. Outside of that, matters proceed much as you might predict. She meets the mother’s brother, Ethan James, who wants what’s best for the kid. So he takes this independent woman and sticks her in a cozy little place…his place, of course. He gives her a credit card and he gently but firmly gives her orders about what she should be doing. She wants to get a job? That’s not acceptable as far as he’s concerned. The people of his high-class stratum look down on people who work. (Geez, in what century are they having THAT discussion?) And, oh yeah, they have to get married for the baby’s sake. Alina puts up even less resistance than a lot of other fictional romantic women I’ve read. Instead, she becomes little Suzy Homemaker, fixing his meal and anxiously watching for his approval. Ethan James is used to getting his own way. So he keeps on kissing her and she slowly starts to respond. The sexual heat builds between them but, astonishingly, the novel holds back on getting them between the sheets, another refreshing change. So why don’t I like it more? Is it that Alina seems so…spiritless? Ethan keeps praising her for her courage but she doesn’t show it much around him. She comes off as being wan while he is fighting against the distant impassivity in his nature that he learned from his emotionally withdrawn parents. While happy endings do ensue and changes are effected in others around them, the tepid nature of the romance left me rather cool. I did enjoy this story a bit more than some other paltry entries in the romance genre. I just can’t be enthusiastic about it. There were plot holes you could drive a tow truck through with this book. The author seemed to be trying to tell the audience one thing but it never jived with what the characters were doing. The prose was long winded and repetitive. I made it to chapter ten out of 17 and just couldn't read it anymore. The two main characters were both too dumb to live. And the angst....oh lord...ANGST. It's the whole book. I think if the heroine is emotionally stable enough to be traveling the world and picking up odd jobs, she's probably okay with talking to people in general.